In my opinion, there are so very few shows, worth watching on television.. However, there are a few shows I refuse to miss: Boardwalk Empire, Game of Thrones and Downton Abby.Becoming involved with the characters may be a hazard, as you never know when the writer will decided to send one of your favorite characters home in a box. (Boardwalk Empire fans will know what I am talking about!) Experiencing withdrawals from Boardwalk Empire, I know I only have a short amount of time before receiving my fix for my addiction of TV drama when Downton Abby returns on January 6th. This season we will attend the wedding of lovely Lady Mary to the dashing and handsome and all so patient Matthew Crawley. 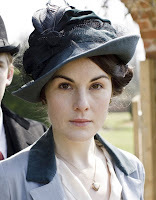 Here is a lovely picture of Lady Mary-no spoilers on the wedding gown, that would be dastardly indeed! In addition to they much awaited wedding, Hollywood screen legend Shirley MacLaine will join the cast as, Martha Levinson,mother of the American born, Countess of Grantham. who is charmingly played by Elizabeth McGovern. Its hard to imagine Shirley MacLaine is 78 years old. For me her most memorable character is Cherry, a feisty, red haired revolutionary and prostitute posing as a nun in Two Mules For Sister Sarah with Clint Eastwood. 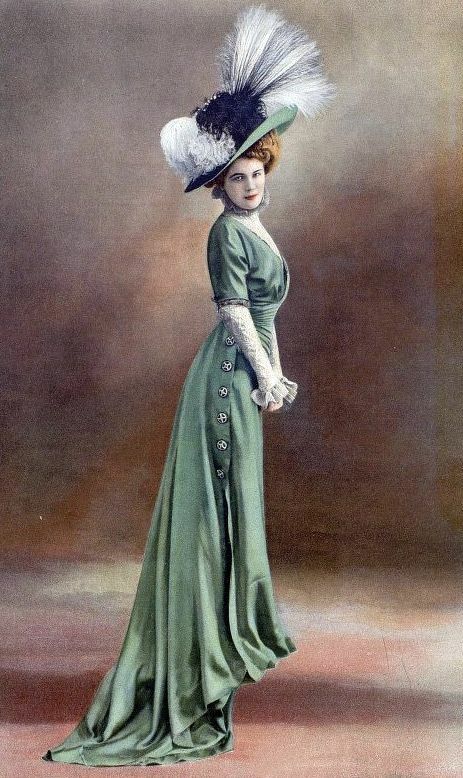 Elizabeth McGovern, who becomes more beautiful with age, although its difficult to say with sage when she is only 51.Elegant and statuesque at 5'9, the perfect proportions to showcase the elegant gowns and suits of the Edwardian period. 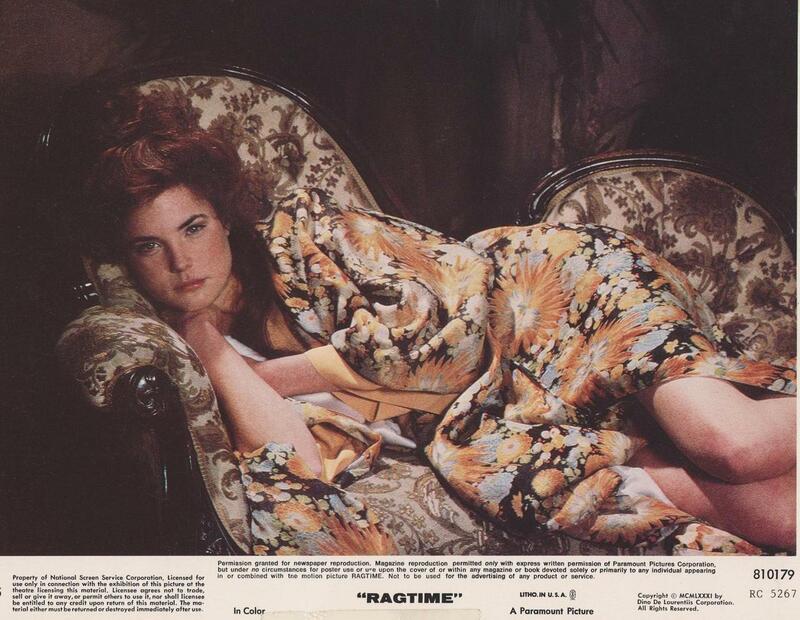 Elizabeth McGovern, while attending Julliard, received her first part in Ordinary People in 1980. The following year, she earned an Academy Award Nomination for Best Supporting Actress, for her portrayal of Evelyn Nesbitt, in RAGTIME. Which as a side note was James Cagney's last movie. This scandal must have been the talk of the nation and was carried sensationally in all of the newspapers across the country. Can't imagine anything like that happening today. Once the business of the holidays calms down, we can pour ourselves a warm cup of tea, and continue sharing the adventures taking place at Grantham Abby.